The notice was issued on December 20, the day the hospital resumed its services, soon after its registration was cancelled by the Delhi government and was barred from admitting new patients. 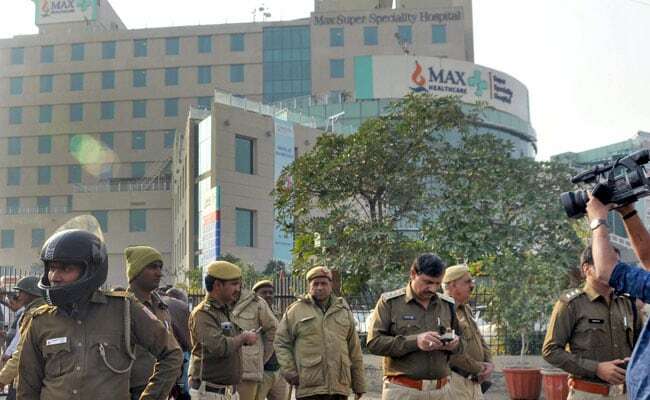 New Delhi: In a new development that could spell fresh trouble for the Shalimar Bagh-located Max Hospital, the Delhi Medical Council (DMC) has issued a notice to the hospital seeking details of its qualification and details of the Delhi Nursing Council registration. The Delhi government's action had come after a 22-week-old premature baby was declared dead at the hospital, even though he was alive, and handed over to his parents in a plastic bag, along with his still-born twin. The baby died after undergoing a week of treatment. "Based on the medical reports, a newborn baby was declared dead along with his still-born twin and handed over to his parents at Max Hospital, Shalimar Bagh. In this regard, the DMC has taken suomotu notice of the media reports, alleging medical negligence on the part of doctors of the hospital, and (the case) is being examined by DMC," reads the notice. The Council has also directed the hospital to submit a statement of defence, together with any other documents in support of their defence, within 15 days. "You are directed to submit a copy of your qualification and Delhi Nursing Council registration details," the notice said. Girish Tyagi, the DMC Secretary, said the notice issued "is in concern to all the doctors in the hospital related to the case", and the Council had sought their individual replies. "We want to check the role of every doctor involved in the case, including the gynaecologist when the baby was delivered. We want to know what exactly happened," Mr Tyagi told IANS.